The Millstätter See (Lake Millstatt) in Carinthia, southern Austria is a summer paradise. Watersports, biking, hiking or simply relaxing seaside, you can have it all. 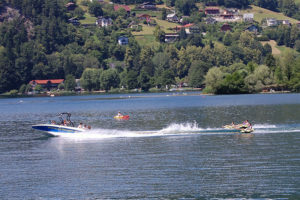 There are plenty of activities to enjoy on and in the area around the lake. Since we had a brilliant and warm weather during our stay, we decided to give water activities priority. Well, almost. We went for a short hike in the mountains as well. 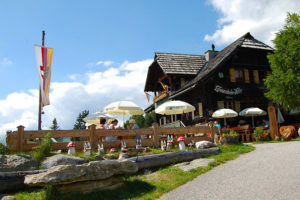 Mostly for the stunning views of the lake and for a delicious Apfelstrudel at one of the mountain huts. First and foremost, we came to chill out by or on the lake. 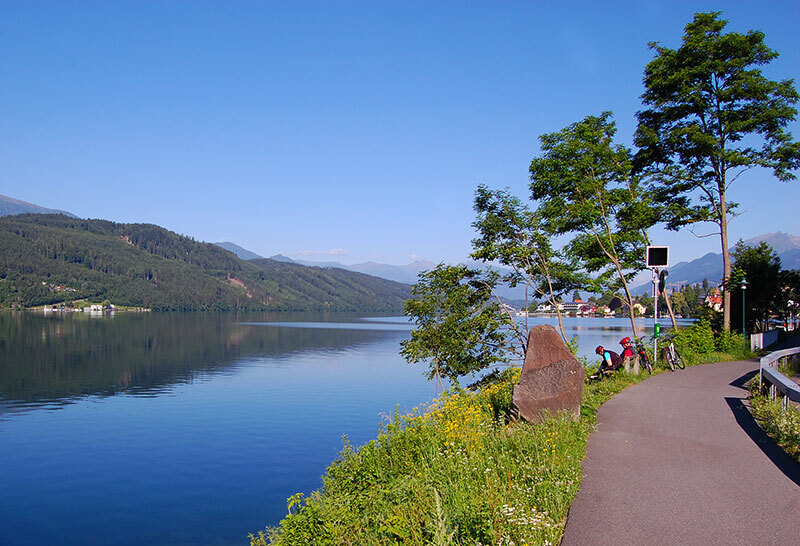 Lake Millstatt is 12 km long, up to 1,8 km wide and 142 metres deep. Even though the lake is surrounded by mountains at 600 metres above see-level, the lake offers water temperatures as high as 23-25 °C in August. 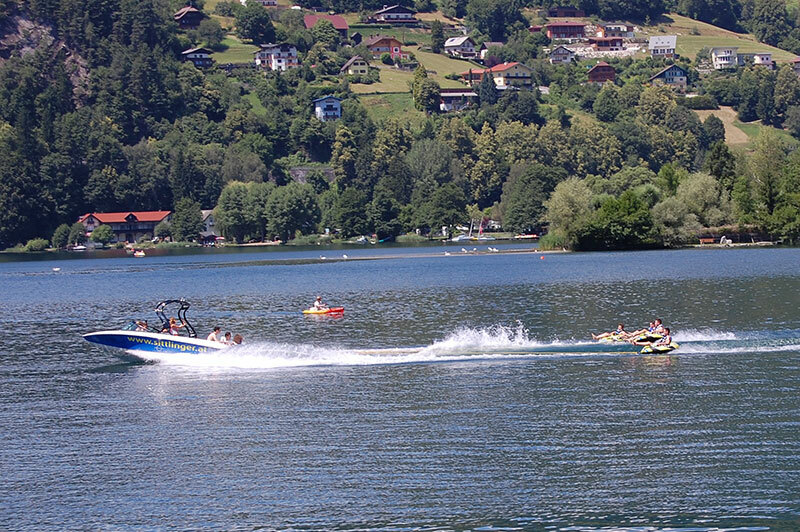 Except for the ferries and water sports motorboats, the traffic on the lake is by pedal-boats, rowing boats and sailboats. Furthermore, the southern shore of the lake is mostly uninhabited and there is only a bike path on this side of the lake. Moreover, the south shore is mostly wooded and is the place to chill out in green surroundings. Thus, weather you stay on some of the designated beaches along the lake or venture out on your own by boat or bike, always bring your bathing gear. Local fishermen invite tourists (for a small fee) to accompany them pulling up their fishing nets. We said yes, and went the next morning. Lake Millstatt showed itself from its very best mood, when we went out in a rowing boat. The lake was like a mirror. No wind and a stunning mountain panorama surrounding us. It was the perfect setting for a lovely morning on the lake. 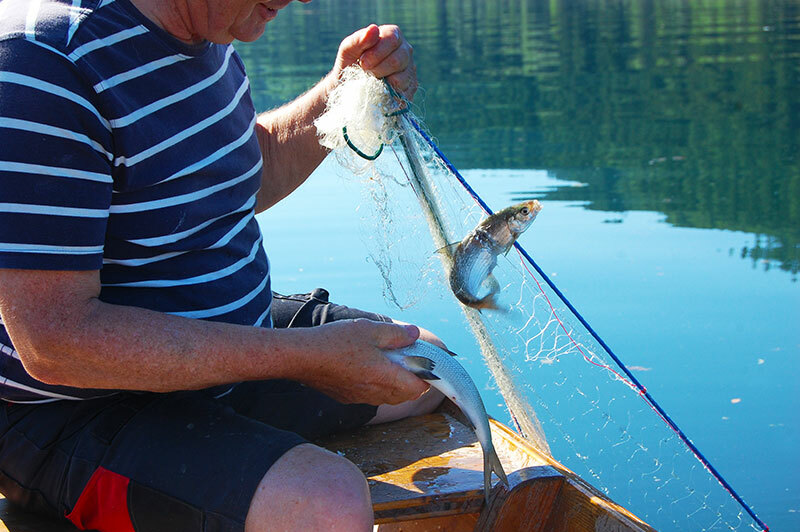 Mr. Ulrich Sichrowsky, who is one of few with fishing rights on the lake, took us across the lake to check the nets that had been soaking overnight. No sooner than the first metres, of the 100-metre long net, had come out of the water, shining silver fishes were taken out of the net. 30 minutes later, 40-50 common whitefish (Coregonus lavaretus) were ready for delivery at the restaurant. This is a great family activity and suitable for children as young as 4 years old. After the fishing trip, I was off for a delicious lunch and a couple of hours sightseeing in Millstatt. Which is a lovely village in the center of the north shore. The main square (Marktplatz) is above the abbey, away from the main road close to waterfront. Here you find the local tourist office as well. 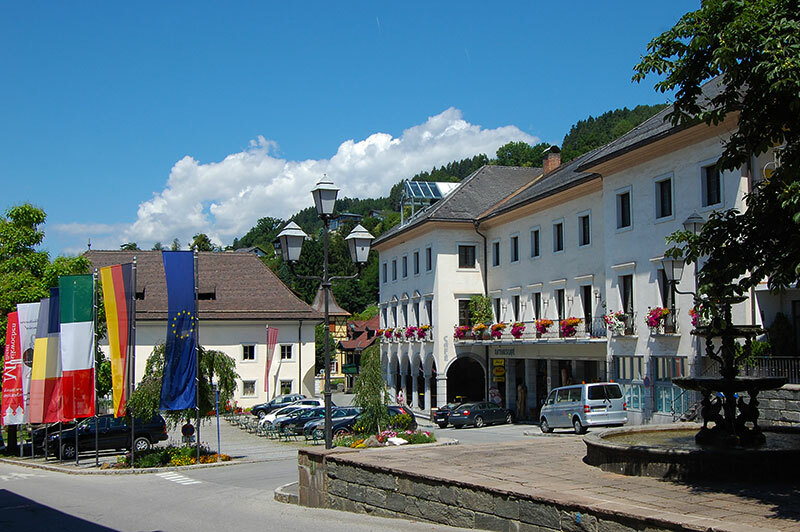 Clearly visible all around are the twin towers of Millstatt Abbey Chruch (Stiftskirche). The impressive former Benedictine monastery, which was built about 1070, is partly accessible to the public. It has a lovely courtyard that can be visited and the abbey also houses a museum. Nonetheless, this is a great excursion on a rainy day. Sunny days should be spent on the lake. The next morning, even though the rendezvous was scheduled for early 8 am, I was ready for another morning boat trip. Some travellers we met recommended bay hopping, as a nice way to learn some more about the lake. 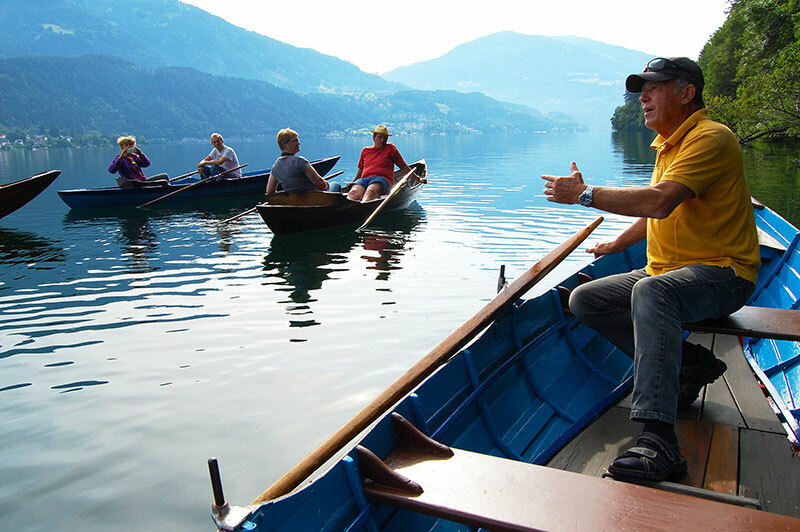 We met up with Mr. Gottlieb Strobl, who has guided groups on Lake Millstatt for 10 years. 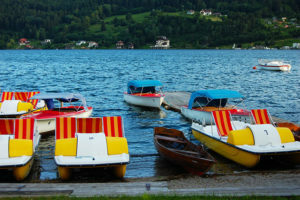 You have to row your own boat, but you get a 2-hour guided tour on the lake starting at the Schillerstrand in Millstatt. No previous rowing experience needed. In any event, seeing the lake from the water rather than from ashore, gives you a totally different perspective. On the nature as well as architecture. 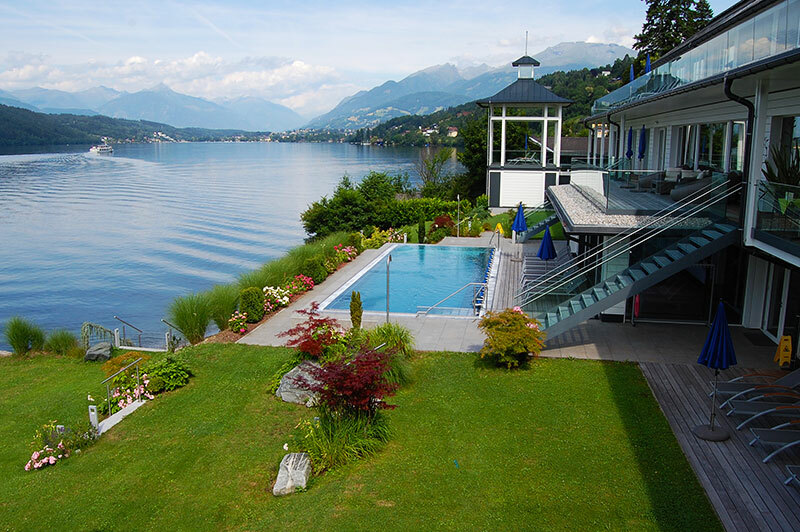 It was a delightful experience watching the lake and its surroundings slowly coming alive. Not entirely in silence, but accompanied by the quiet squeaking of the wooden rowboats and lazy splashes from the oars. In as much as we love to be on the water, we decided to head for the high ground in the afternoon. After a brilliant start of the day with a morning trip on the water, it was time to head up into the mountains. Consequently, we wanted to complete our trip to Lake Millstatt area, with a visit to a couple of the mountain lodges above the lake. The mountains in the region offer a wide range of hiking trails, with everything from easy adventure trails for children, to advanced climbing trails only for the experienced. Nonetheless, this time we were looking to enjoy some local cuisine and stunning lake views instead of long hikes. We can recommend Lammersdorferhütte and Alexanderhütte, which both are accessible by car. 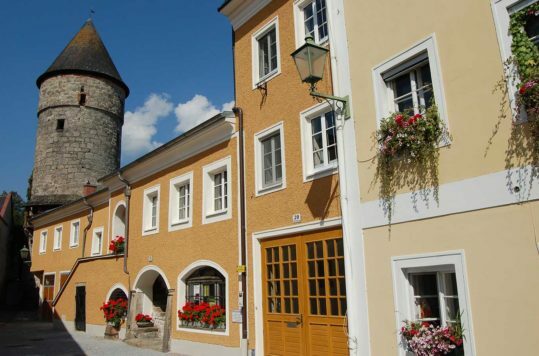 Both places offer good traditional Austrian food such as Apfelstrudel or Kärtner Kasnudeln. 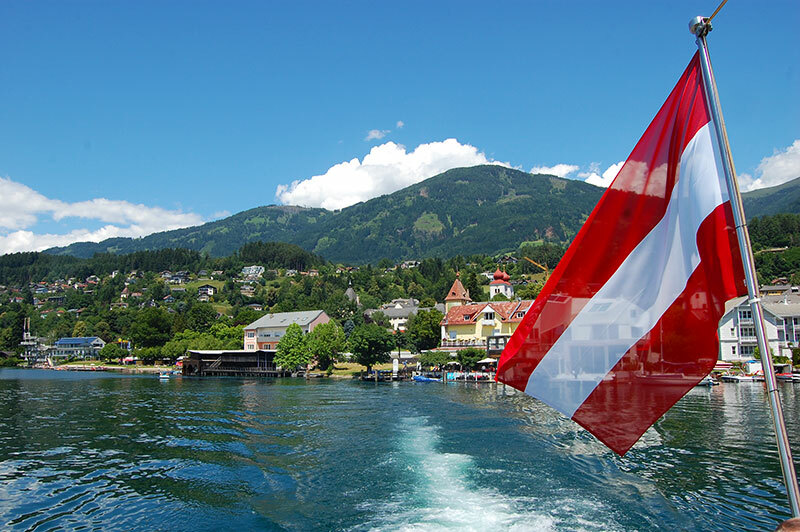 Altogether, Lake Millstatt is something that you should place on your to-do-list for Austria.